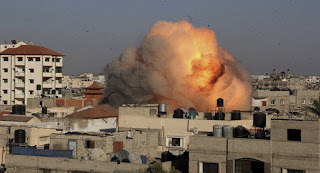 Israeli airstrikes killed two members of Hamas in Gaza in the early hours of Saturday after missiles were fired at Israel by Palestinian Islamists, Guardian Uk reports. According to reports, this brings the number of fatalities in the past two days to four. 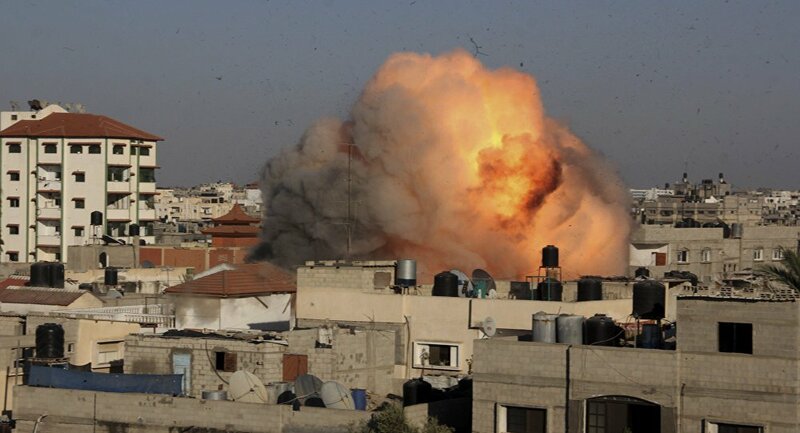 The Israeli army shot two Palestinians dead in Gaza on Friday. The exchange of fire in Gaza is the latest outbreak of violence in the fallout from the decision by the US president, Donald Trump, to recognize Jerusalem as Israel’s capital. The attack carried out by Israel’s military jets left around 25 Palestinians injured as tensions builds in the Middle East. The IDF posted a statement moments after the attack, saying: “In response to the projectiles fired at Israel from Gaza earlier today, IAF (Israeli Air Force) aircraft targeted a Hamas training compound & an ammunition warehouse in the Gaza Strip.